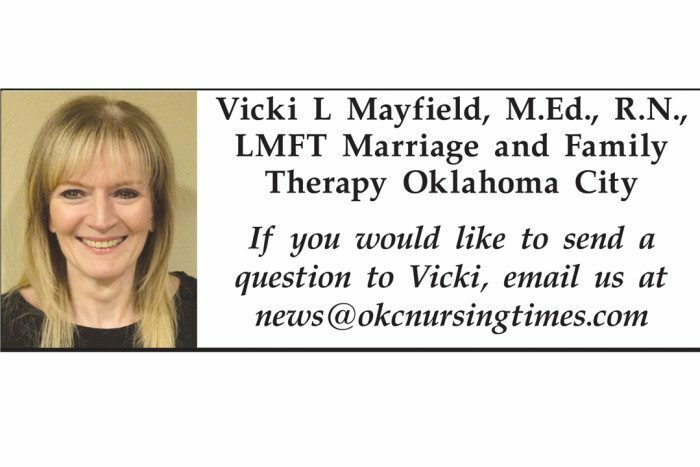 Kathy Smith is the nurse manager at The Rehabilitation Center at Norman Regional Health System. 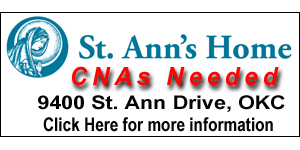 For more than 40 years, Kathy Smith, RN, MSN, CRRN worked in critical care. Taking care of and doing for her patients was all she had ever known. But the next chapter of Smith’s nursing career would lead her into rehabilitation nursing and a change that would make her head spin. “It was almost a year to get (critical care) out of me,” Smith laughed. 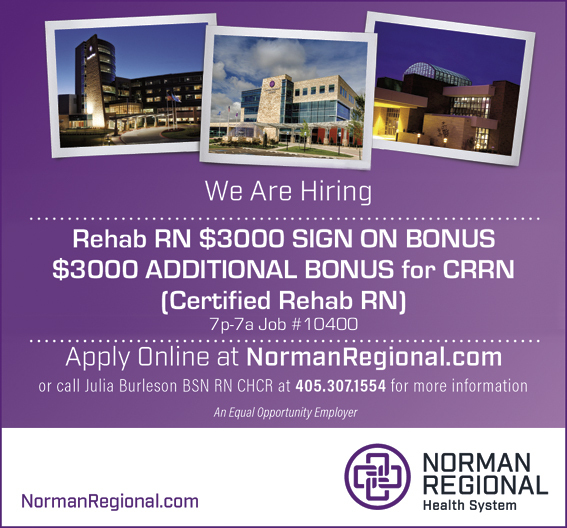 Now the nurse manager for The Rehabilitation in the Norman Regional Health System, Smith is looking for nurses to share in the kind of career resurgence she experienced. 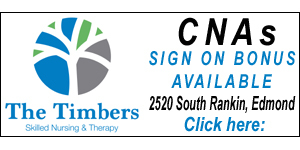 Smith is actively searching for certified rehab nurses. The rewards in rehab nursing are both instant and long-term. Helping patients make those incremental improvements each day provide instant gratification. Seeing them come back for the yearly Christmas party or just stopping by to say thank you bring all those feelings back. Motivation and behavior modification are hallmarks of rehab nursing. Letting the patient do as much as they can while teaching them along the way to independence is vital. 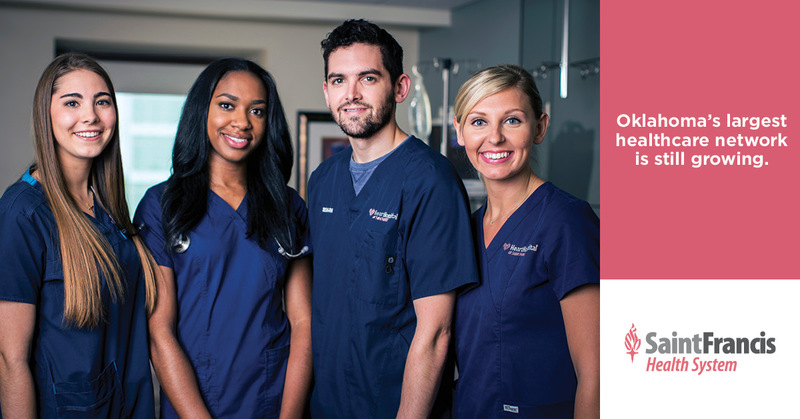 Smith’s nurses see a range of patients from traumatic brain injuries and strokes to falls at home or other accidents. The majority of Smith’s career has been spent doing what patients could not. Now her and her nurses spend their time restoring patient’s to their former lives. Earning her CRRN designation solidified for her that she was indeed in a unique nursing field. “I didn’t realize that until I got into it and then I saw why,” Smith said. “I’ve noticed after being in critical care you have more aggressive, assertive people in critical care. When I got to rehab I noticed the type of nurse here is more soft about what they do. They’re more patient about letting them do it. We’re taught as nurses to do everything for the patient. One of the advantages Smith’s staff enjoys is being inside the hospital. The Rehabilitation Center is designed to provide the highest quality care possible. It is accredited by the Commission on Accreditation of Rehabilitation Facilities (CARF) for the Adult Inpatient Rehabilitation program and the Stroke Specialty Program with an established pattern of excellence. Smith said the facility participates in a rigorous CARF review every three years to maintain this accreditation. * 99 percent of patients say they would recommend The Rehabilitation Center to others. * 97 percent of patients ranked The Rehabilitation Center as a 9 or 10 out of 10 compared to other rehabilitation centers. * 80 percent of patients who were discharged from The Rehabilitation Center were able to return to an independent living setting. * The average length of stay for a patient is 12 days. 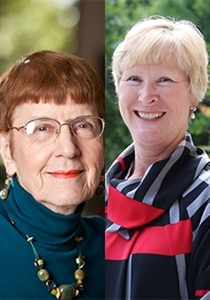 (left) Barbara J. Holtzclaw, Ph.D., RN, FAAN, and Carol Rogers, Ph.D., RN, PHCNS-BC, CNE will be formally recognized as Fellows of Gerontological Society of America. Two faculty members from the Fran and Earl Ziegler OU College of Nursing, University of Oklahoma Health Sciences Center, have been named fellows of the Gerontological Society of America, the nation’s largest interdisciplinary organization devoted to the field of aging. Barbara J. Holtzclaw, Ph.D., RN, FAAN, and Carol Rogers, Ph.D., RN, PHCNS-BC, CNE, will be formally recognized in November during the GSA’s annual scientific meeting. The induction honors their outstanding work the field of gerontology, including research, teaching, administration, public service, practice and participation within GSA. 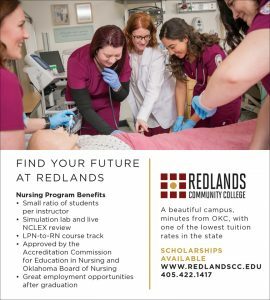 Both registered nurses, Holtzclaw and Rogers have had distinguished careers in education and research since entering the academic realm. Their involvement with GSA has furthered that work by connecting them with collaborators and resources across the nation. Holtzclaw and Rogers have made significant contributions to the field of nursing – and the larger health care system – through their individual areas of research. Holtzclaw’s research focuses on thermoregulatory responses in vulnerable populations. Her investigations have centered on “the metabolic cost of shivering” – the energy cost to patients whose bodies try to recoup heat by shivering. This occurs, for example, when a patient who undergoes open-heart surgery begins to warm up after being cooled down for the procedure. It also occurs when the body turns up its internal thermostat to cause a fever. 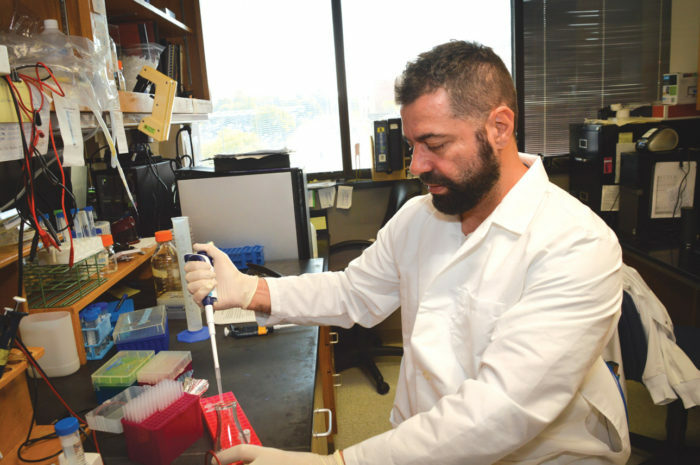 Holtzclaw has studied the violent shaking that occurs when immunosuppressed patients with cancer get fungal infections and are intravenously given a drug called amphotericin B. The body responds strongly to the drug, running a fever and shivering, which is the body’s way of warming itself up. Holtzclaw studied the same process in fever management of patients with HIV and as a possible mechanism in older adults who experience night sweats. “I’ve been researching the effects of temperatures changes in the body for a long time, and most of the populations I’ve worked with have been older adults,” she said. Rogers’ research focuses on helping older adults age in place and maintain physical function. People overwhelmingly want to live out their lives at home surrounded by their support system. But when people begin to lose balance and function, there’s usually a tipping point when they can no longer live at home. Rogers is researching the effectiveness of Sign Chi Do, a mind-body-spirit exercise, mostly with people who attend community senior centers. She measures how Sign Chi Do affects their balance, strength, flexibility and endurance, as well as the cardiovascular response of the intervention. She also studies the effect of Sign Chi Do on sleep and fatigue symptoms in women with a history of breast cancer. 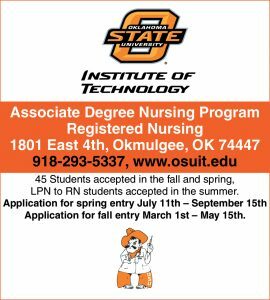 In the OU College of Nursing, Rogers serves as assistant director of geriatric training programs, and Holtzclaw is associate dean for research and associate director of translational geriatric science for the Donald W. Reynolds Center for Geriatric Excellence. 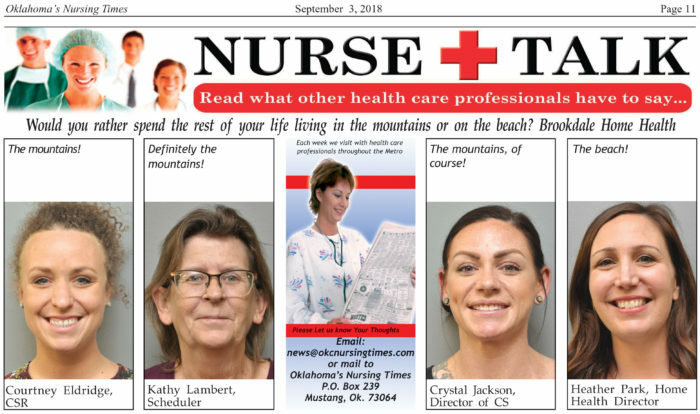 Stephanie Vlot, LPN, has been a nurse for 4 years. 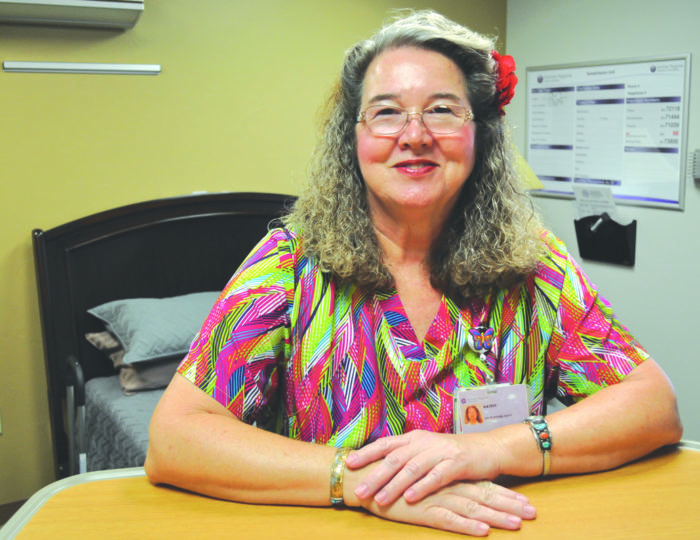 Working for Apex Home Health, she enjoys seeing patients in their own home. Apex Home Health was recognized and certified in 2007 by Centers for Medicare and Medicaid Services as one of modern home-health care agencies which are scientifically measured and assessed to have high-quality home-health care services for promoting health and improving the quality of life. 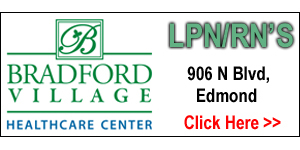 Medicare Certified Services includes Nursing, Physical Therapy, Occupational Therapy, Speech Pathology, Medical Social and Home Health Aide. 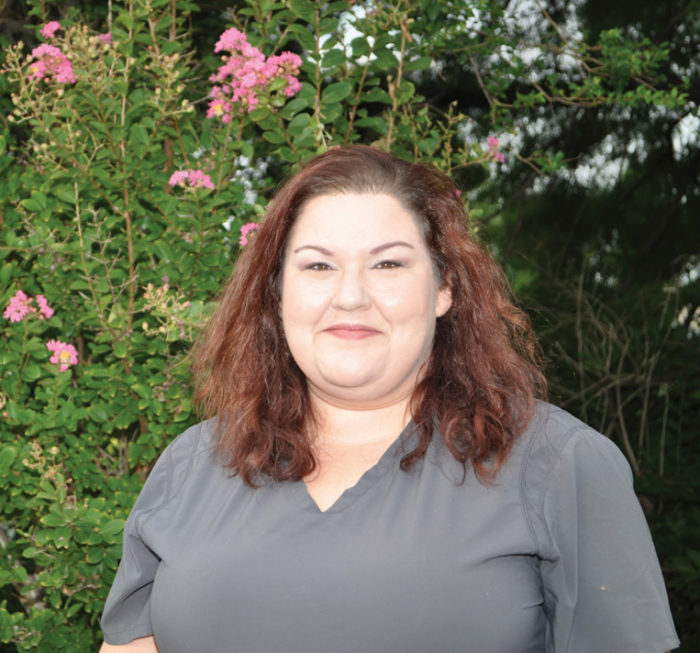 Meet Stephanie Vlot, LPN for Apex Home Health, who has been an LPN for 4 years. 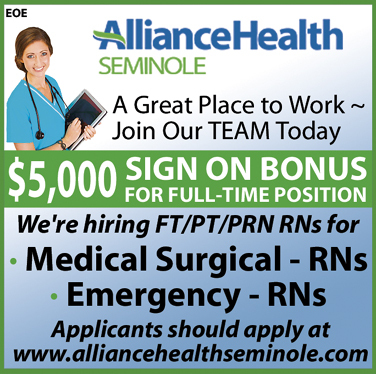 “Apex Home Health is the best organization to work for because we have that small company feel,” commented Stephanie. “They truly take care of us and it is a great place to work,” she added. On a personal note, when Stephanie was little, she didn’t want to be a nurse, like all the other little girls, or so it seemed. “Actually, I just knew I would grow up and be a singer or an actress. Well, I can’t carry a tune in a bucket and Hollywood isn’t ready for me yet,” she said. “I do have compassion and I am glad I am a nurse now, she added. One of Stephanie’s hobbies has been very helpful for her. “I love to journal. A wonderful woman at church presented the idea during our Relief Society CARE meeting and it made a big difference in my life. It is also a great treasure to leave behind to my grandchildren one day. Stephanie enjoys spending time with her husband and her three daughters, 13, 12, and 9 years old. “My husband is my biggest supporter and when I want to do something, he is there for me. He usually ends it with a yes honey.” My three daughters are wonderful and they all have their own personalities which makes them so different from each other. They are all really good girls. Then there are the pets; Molly, a 7 year old Boxer/Pit Bull, along with Tiger, the 1 ½ year old cat. The dog thinks she is a princess and the cat thinks he is a dog,” she said. “What’s wrong with this picture?” she laughed. ASK VICKI: Q. I am single, not currently dating and enjoying my life. Q. I am single, not currently dating and enjoying my life. It would be great to find a healthy man to have a relationship with and I hope that is in my future. What I find so sad are some of my friends who are in relationships that are not healthy, in fact two of them are down right toxic, but they won’t leave because they don’t want to be alone. They are already alone!! What is wrong with them? A. I think “being alone” is such a difficult “situation” to treat. It casts such a spell on the person that it almost shuts down their cognitive processes and creates an illusion that becomes their reality. An illusion of “I am not alone because I have John sitting on the sofa with me.” Never mind that John rarely communicates in a loving dialogue unless he wants something or that he belittles you in front of his friends or that he shows you no affection in public to the point that others don’t even know you are a couple. If you leave John and this abusive relationship you will be alone. That means “without John.” Why is alone worse than being with abusive John? You are now free to be with others. When I was working with Sharon all she could focus on was “wanting to be married.” It was not about the quality of the man as much as not wanting to be alone (and also wanting financial security.) She found her man. In the beginning she pointed out some negatives, i.e., he was overweight and drank more than she liked. (She had been married twice before, both alcoholics). As the relationship progressed she talked more about his money than his drinking or his weight. She also had concerns because their politics were at opposite ends of the spectrum. He also was controlling of her time. But he had money and she didn’t want to be alone. They married almost a year later. When I saw her a few months after the wedding, her spirit seemed subdued. Her vibrant energy channeled differently. But she was not alone; she was married, she had her man!! There are certainly no guarantees about the sustainability of relationships. I think it is healthy for people to be able to “be without an intimate/partner relationship” and be comfortable. That does not mean it is “forever.” Perhaps the less we think about it and just live our lives, who knows who the Universe will put in our path. In the mean time, get a dog, cat, bird, plant; something you can nurture and love until “your person” comes along. Read some good books. Learn to like being with you. Oklahoma Medical Research Foundation scientist Roberto Pezza, Ph.D.
Oklahoma Medical Research Foundation scientist Roberto Pezza, Ph.D., has received a five-year grant from the National Institutes of Health to study cellular mechanisms that regulate DNA metabolism, particularly how damaged DNA is repaired. The American Nurses Credentialing Center has designated INTEGRIS Canadian Valley Hospital as a Pathway to Excellence® hospital for the second consecutive four-year term. 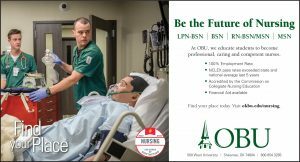 The Pathway to Excellence designation identifies elements of work environments where nurses can flourish. 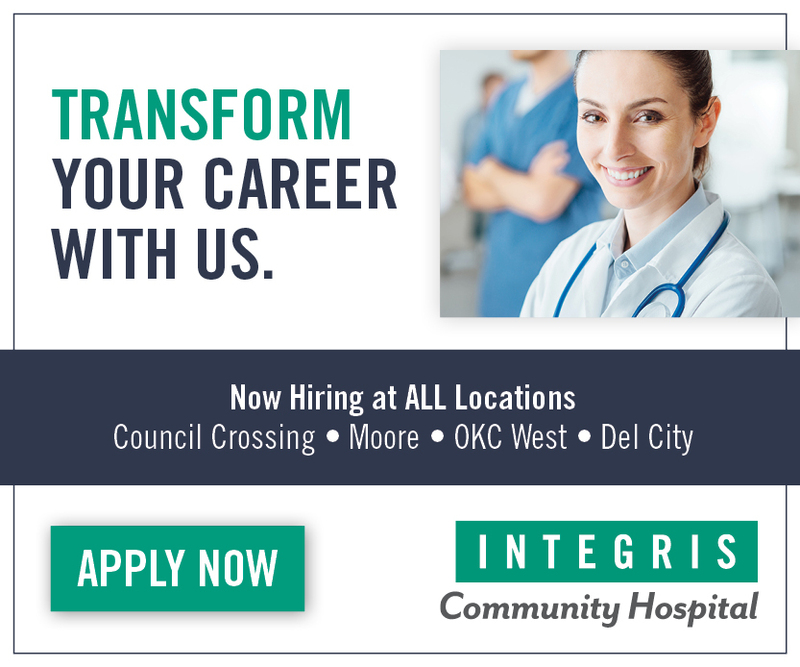 This distinction substantiates the professional satisfaction of INTEGRIS Canadian Valley nurses and identifies it as one of the best places to work. The designation is granted based on the confirmed presence of characteristics known as Pathway to Excellence Criteria. 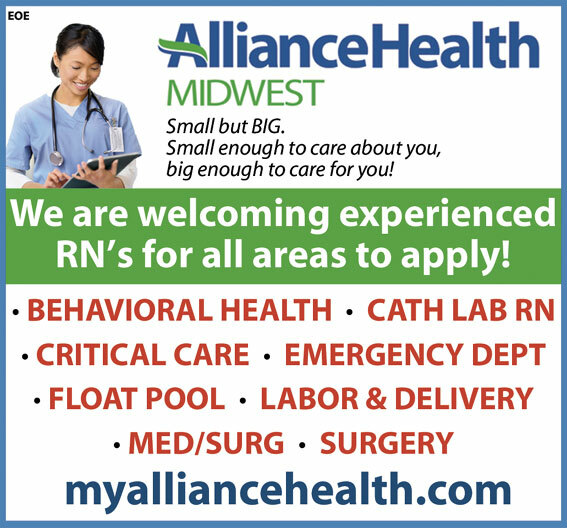 To be named as a Pathway to Excellence organization, a hospital must undergo successfully a thorough review process that documents foundational quality initiatives in creating a positive work environment, as defined by nurses and supported by research. These initiatives must be present in the facility’s practices, policies and culture. Nurses in the organization verify the presence of the criteria in the organization through participation in a completely confidential online survey. As a Pathway to Excellence designated organization, INTEGRIS Canadian Valley is committed to nurses, to what nurses identify as important to their practice, and to valuing nurses’ workplace contributions. This designation confirms to the public that nurses working at INTEGRIS Canadian Valley know their efforts are supported. The honor encourages other nurses to join their colleagues in this desirable and nurturing environment.